The Woodlands Mobile Auto Repair in The Woodlands, TX, We Bring the shop to you. Onsite car and automobile repair service. Your Car's local emergency services on the go. Do you have a car or auto emergency, stranded on the side of the road, need to get to work or your local business? Call Us Now. The Woodlands Mobile Auto Repair in The Woodlands, TX, Have you ever needed to have an onsite automobile repair job or service work or may you've been in need of a car repair company in The Woodlands, TX, to repair an automobile you own? Or maybe your car needed to be repaired at its location, but do not have the time to drop it off, wait for it, or come back to pick it up? Our mechanic delivers mobile car repair at your home or office. Get a fast, free quote online 24/7 and book for repair, maintenance, and diagnostic services. We will be pleased to help you at any time in any condition, no matter wherever you are. 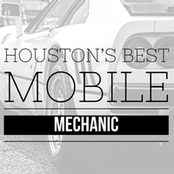 The Woodlands Mobile Mechanic: 713-497-1202 Mobile Mechanic The Woodlands, TX.